On Sunday Germany votes in an election from which Chancellor Merkel’s CDU party is universally expected to remain the largest but which has addressed none of the underlying problems affecting Germany. One of the problems involved in discussing Germany is that the image of the country as a runaway economic success story is so powerful that it makes objective analysis of its problems difficult. 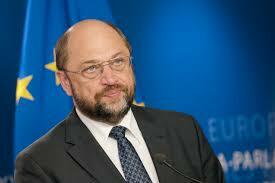 The reality is that Germany is indeed a very rich and economically successful country. However, there are growing problems that put its long term prospects in doubt, and these are being ignored rather than addressed. Briefly, the German system as it evolved after the Second World War involved a political and financial system heavily geared towards high business investment. The secret of German economic success was the close collaboration of decentralised regional governments and banks with a partially cartelised business community, with the whole system underpinned by high savings and a well trained and well organised workforce. Key to the success of the system was a monetary policy geared towards creating low inflation and high savings, and a fiscal policy that avoided deficit. The result was indeed high business investment drawing on high savings in conditions of extreme price stability within a strictly controlled competitive environment, enabling German business to remain continuously competitive even as German wages and living standards steadily rose. Over the last decades this system has slowly unravelled as German banks have become less focused on Germany’s domestic economy and more involved in the international financial system, and as Germany has integrated itself ever more deeply into the EU’s institutions, replacing the Deutschmark with the euro. The result is that savings and investment in the German economy have fallen from their historic post war highs, so that the total rate of investment in the German economy has fallen from around 30% of GDP in the early 1980s to around 19% now, with the two biggest falls taking place in 1990 (at the time of unification) and in 2000 (at the time of the introduction of the euro), with the rate of investment unchanged since then. Moreover, recently pressure on savings has been increasing further because of the zero interest rate/quantitative easing policy of the European Central Bank, whose lax monetary policy is also causing Germany to experience for the first time in its post Second World War history on a sustained basis a property price boom, something which the Bundesbank, Germany’s own central bank, always anxious to direct investment towards businesses rather than fixed assets, had previously always acted to choke off. The Germans have responded to the fall in investment in their classic way, striving to keep their economy internationally competitive by compensating for the fall in investment with downward pressure on wages. In addition Germany has sought to continue to run a budget surplus – operating its economy ‘within its means’ as it is called – a policy whose intended and actual effect is to choke off imports. Taken together with the relative weakness of the euro (as compared to the strength of any currency Germany might have had if it still had the Deutschmark), these policies have kept the German economy internationally competitive, causing it to run a massive surplus. However, the continued downward pressure on wages, the action taken to make the German workforce more ‘flexible’ (the so-called Hartz IV reforms), the refusal to run a budget deficit (causing public investment to collapse), and the property price boom, are making German society more unequal, and are increasing pressure on living standards. Needless to say, that feeds resentment and it is anyway debatable how sustainable a system, which compensates lower wages for lower investment, in the end is. At this point it is important to make some qualifiers. The German economy remains exceptionally strong and the standard of living in Germany remains by international standards extremely high. The problems, though real, are still in their infancy, and there is time and space to turn things round. Germany’s real problem is not that its problems are intractable. It is that under Angela Merkel, who became the CDU’s leader in 2000 – just as the second big fall in the economy’s rate of investment took place – and who has been Germany’s Chancellor since 2005, no serious attempt to address these problems has been taking place. At a time when Germany needs purposeful policies to turn things round, Merkel’s complacent “keep calm and carry on” approach is leaving them as they are. A …. major factor is the system of labor market and welfare reforms introduced in Germany in the 2000s. 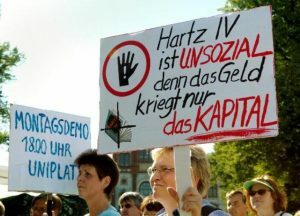 The most famous is the “Hartz IV” law, which provides unemployment subsidies of just 280 euros ($330) a month, and forces people to accept whatever jobs they are offered, even at only 1-2 euros an hour. German companies have done very well with this system, that allows them to exploit extremely cheap and flexible labor. Critics points to this as one – although certainly not the only – factor contributing to the great success of German industry in Europe. For the six million citizens trapped in the system though, things aren’t so great. There are entire areas called “Hartz IV neighborhoods,” indicating widespread socio-economic difficulties among the local population. If we add the high level of “working poor,” a category that has reached 9 percent of the population in Germany, it becomes clear where the populist movements can look for votes on economic issues. This situation explains the strong reaction of many Germans when Merkel, without much consultation, suddenly threw open Germany’s and Europe’s doors to the mass refugee flow in 2015. Inevitably many poorer working class Germans, who have been under growing economic pressure for some time, resented the fact that Merkel and the political establishment appeared to care more about the refugees than it cared about them. In my opinion, this was a far more important factor in the widespread protests in Germany against Merkel’s policy in 2015 than the supposed xenophobic or racist attitudes of lower class German voters, whose grandparents had accepted mass immigration from Turkey and southern Europe in the boom times of the 1950s and 1960s without protest. Unfortunately, the problem is not just Merkel. 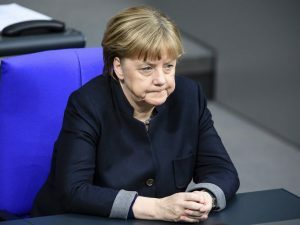 The entire German political establishment is locked into the same complacency, so that she has fought the election without coming under any serious challenge. That a thirst for such a challenge is there is shown by the brief surge of support for Martin Schultz (pictured) after the SPD nominated as its Chancellor designate at the start of the year. In the event – as I and many others predicted – Schulz has however proved to have been a truly dreadful choice, with offering no credible alternative to Merkel, so that after his brief surge the SPD’s polling figures have spiralled down. Having spent this week in Germany, I am struck by another inward-looking syndrome. The German campaign has paid very little attention to Europe, not to mention the world beyond it. It has practically dispensed with the question of how the country should relate to realities beyond its borders: the global shifts at work, how to define its role in a changing environment, how to strategically prepare for the future, and the external impacts that may lie in store….. The Germans simply don’t want to hear much about the troubles of our times and how to face them: they just want to hunker down and keep on living the good life – which is one of Merkel’s CDU party slogans…..
One of the most fascinating developments in Germany is that, contrary to many predictions, the 2015 refugee crisis has not upended the nation’s politics entirely. How come? In Britain, it contributed to producing Brexit. In France, it helped Le Pen collect 10m votes. In 2015 the world’s huddled, desperate masses came to Germany – and yet, two years on, the country hardly seems to worry about the state of the world, or wants to even discuss it. “We are proud of what we did, the welcome culture, but it mustn’t happen again,” is the main answer you get when raising the question. Into the gap opened up by the German elite’s complacency has moved the AfD, the new political movement originally created by a group of professors to challenge the twin orthodoxies of Germany’s Atlanticist foreign policy and the euro, but which has gained popular traction as it has redefined itself as an anti-immigrant party and has veered towards the right. How well the AfD will do in Sunday’s election remains to be seen. Here, however, I will restate a view which I previously made in connection with the role in French politics of Marine Le Pen. 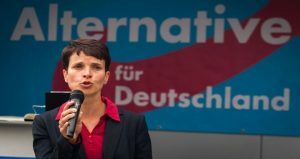 Since in Germany as in France there will alway be a majority against a challenge to the status quo from the right, the eventual effect in Germany of the AfD, as of Marine Le Pen in France, will be to reinforce the status quo, not to change it. On the subject of Angela Merkel herself, though she retains many of her political skills and a large reservoir of support amongst Germany’s large centre right Christian electorate, she has increasingly come across in this election (at least to me) as tired and stale, something which incidentally was never true of her CDU predecessor Helmut Kohl. Almost everyone expects this to be Merkel’s last election, and I have no doubt this is right. Not only is Merkel’s time as Chancellor drawing to a close, but I doubt she will be around for much longer, and I think it is unlikely she will see out her full term. Had the SPD picked a more charismatic and popular candidate than Martin Schulz, I have no doubt she would have been in serious trouble during the election, though the nature of the German political and electoral system always gives the incumbent Chancellor a big advantage. Germany’s and Europe’s problem – and potentially their crisis – is that in the desert which is what Germany’s current politics have become, it is difficult to see any change coming after Merkel is finally gone.